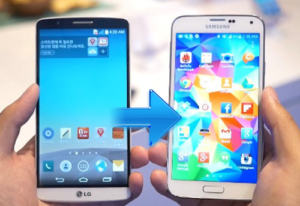 How To Transfer & Share Data On MTN, Airtel, Glo & 9Mobile Network. Are you looking for the best way to share or transfer data to your loved ones? It can be friends or family. The good news here is that all the network provider in Nigeria now allows their subscribers to share and transfer data to their loved one with simple step’s. Most of the methods in transferring data to MTN is no longer working, that’s why we have carried out research to bring you the latest method on how to transfer or share data from MTN, Airtel, 9Mobile, and Glo. This post will cover all the methods involved. But wait a minute! Is there any difference between Data sharing and Data transfer? Yes of course. Those two words have different meaning and we will look at them independently. 1 What is Data sharing? 2 What is Data Transfer? 3 How to share Data from Glo to Glo Network. 4 How to transfer Data from Glo to Glo network. 5 How to transfer Data from Airtel to Airtel Network. 6 How to Transfer Data from 9Mobile to 9Moile. 7 How To Transfer Data From MTN to MTN Network. Now let’s zoom this into a classroom. Data sharing is the ability to share your mobile data subscription to your friends. In this case, you have to add your friend’s number to your list of data beneficiary. So anytime you subscribed or purchase a data, your friend will be tapping from it. It’s just like sharing your data connection through hotspot to your friends. The little downside of this is that your friend or the beneficiary may finish your monthly subscription in no time if he’s a heavy internet user. On the other hand, you will still be the one to control him and you can remove him from the list of your beneficiary anytime if you feel he is exhausting your subscription more than you plan. Still, there is another solution to resolve it which will bring us to Data Transfer. Another popular term that people use in search of data is Data Transfer. Just as the name implies, Data transfer is the process of transferring your already purchased data to your friend just like the way you transfer money from one account to another. This method is the most secure way of helping your friend out when they need to access the internet the most. Unlike the Data sharing, you can only send what you want and when the receiver exhaust the data he will stop browsing. To transfer data is even easier than data sharing because you don’t need to have any kind of special PIN not migrate to any plan. We will also be looking at another method of Data Transfer which is on-line data transfer. This is another effective method of sending monthly data subscription to your friends, children or even to your employer. Though it involved the use of a third party website or app to do that still it’s easier than you think, because there is a lot of application that allows you to top up your airtime and to also renew your data subscription. We will dive into this later but for now, let’s see how to share and Transfer Data from MTN to MTN, Airtel to Airtel, Glo to Glo and 9Mobile to 9Mobile. I have carried out some research and discovered that the MTN data sharing codes and other networks are no longer effective. Though the offer still working on Glo network and to share data to any Glo network simple follow the instructions below. How to share Data from Glo to Glo Network. Dial *127*0# and follow the instructions to add a number and to see the numbers on your list simple dial*127*00#. To remove the number from your Glo line dial *127*02* to remove it. How to transfer Data from Glo to Glo network. To transfer Data to Glo network simple follow the instructions below. To transfer Glo Bis to any number dial *127*Data code*receiver number#. For example, you can dial *127*53*0856xxxxx#. The 53 is that Data code which one for always micro subscription plan. How to transfer Data from Airtel to Airtel Network. To transfer Data from Airtel to Airtel Network, follow the steps below. Dial *141*712*11*recipient number and #. Dial *141*712*9*Recipient number and #. To transfer more Data like 1GB, dial *141# and follow the instructions. Note: You can only transfer minimum data of 10MB and when you hit the transfer button, 10MB or N100 will be deducted from your account balance. 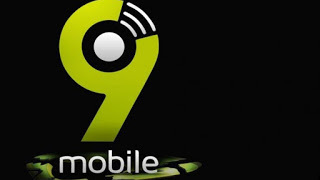 How to Transfer Data from 9Mobile to 9Moile. In other to transfer Data to a 9Mobile, follow the steps below. Dial *229*Recipient number*Amount*PIN#. For example, *229*080854xxxx*50MB*0000# and send. Your default PIN is 0000 and after that, the amount you enter will be deducted from your account and transfer to the Recipient number. How To Transfer Data From MTN to MTN Network. Make sure you have enough data on your account. Now dial *131*2# and follow the instructions on your screen. You will be asked to provide PIN, Simple put 0000. That is your default PIN and to change the PIN, send Old_PIN, New PIN, New PIN to 131. For example, 0000 4444 4444 to 131. The 0000 is your new PIN while the 4444 will now become your new PIN. In case the above method did not work for you. Follow the second method below. Now we will be using MTN SME data share which is developed for business purposes. This package is for those that want to make money selling data online or offline. They buy the data plan in large quantity and distribute to their customers. You can purchase this plan starting from 1GB to 120GB and sell it to your customers in small quantity like 500MB to 5GB. To use this plan you need migrate to SME tariffs plan by dialing *460# or text 460 to 131. After that, you can buy data with *461# and follow the prompts. If you are using a smartphone you can buy and transfer data by downloading My MTN app at Google PlayStore or ample store. Did you know you can actually transfer data from the USA to your friend or family in Nigeria or any part of the world? It’s possible and you can do without any hassle. First of all, go to Google PlayStore and download Dent App. This app allows you to buy data straight into your phone and to also buy data to another number by simply typing in the recipient number on the provided space. Another great App with good reviews is Ding Top Up. You can use the app to recharge your like anytime at an affordable pricing. This is all for now. Use the comment box if you have any question. Watch free youtube videos with 9Mobile.